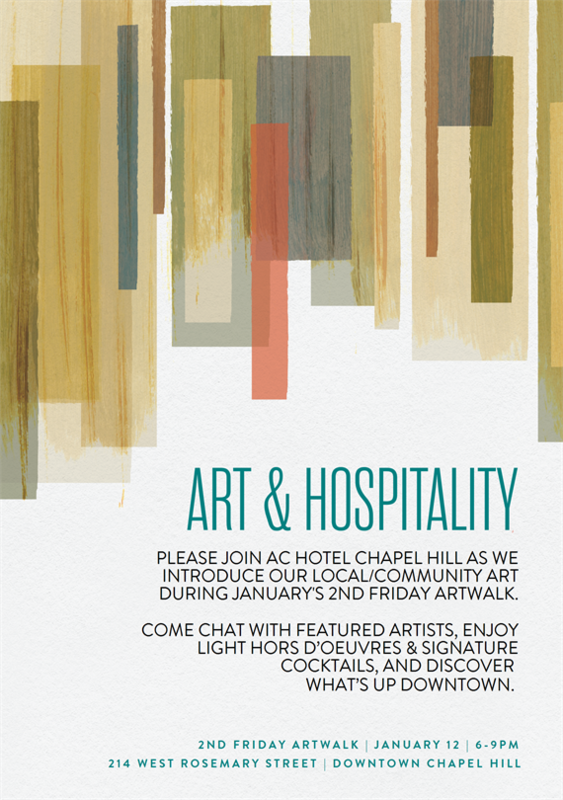 Welcome AC Hotel to 2nd Friday ArtWalk! Some of the artwork at the new AC Hotel Chapel Hill is so local, it was created with material from – literally – right around the corner! Lincoln Hancock’s mixed media “Congregation” celebrates the rich history of Chapel Hill’s Northside neighborhood, which sits adjacent to the hotel. Lincoln layered photos, newspaper clippings and stories collected from local residents into an abstracted timeline, a montage of images and text. 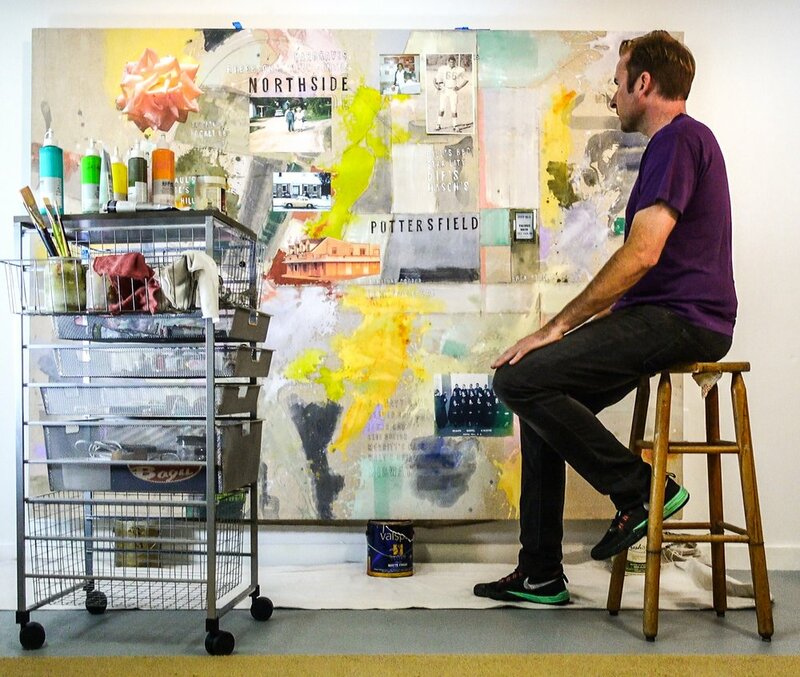 In addition to this unique community painting, the AC Hotel’s regional artwork – commissioned through Kalisher – includes three sculptures by Matt McConnell of Raleigh and an abstract wood installation outside by Asheville sculptor Robert Winkler. Come view the art, chat with featured artists and enjoy light hors d'oeuvres along with the hotel's signature cocktail.